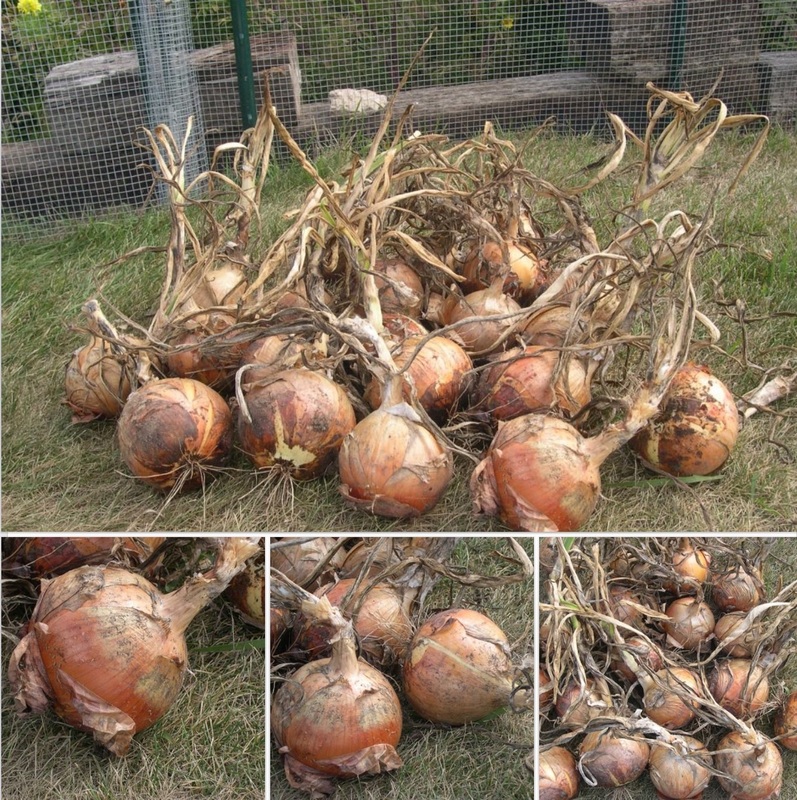 My onion harvest on Sept. 18, 2011. 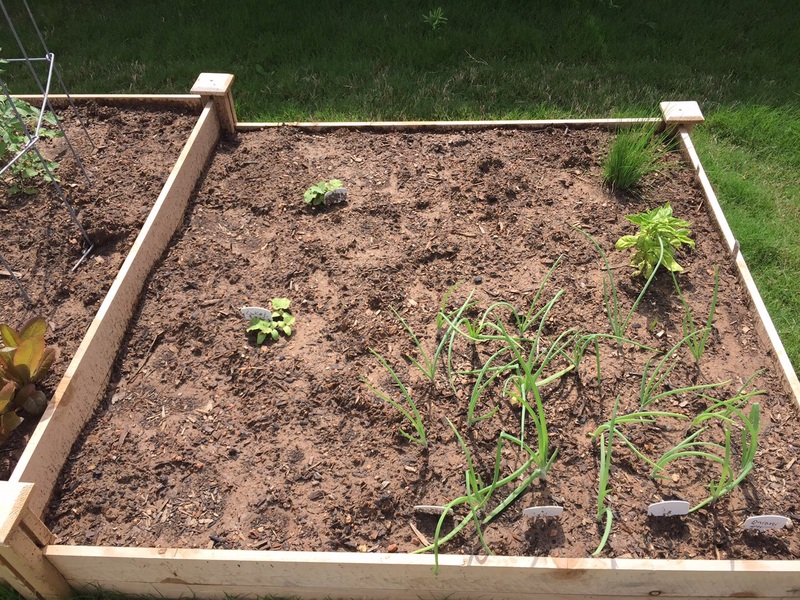 This entry was posted in Gardening and tagged onions, rain on September 18, 2015 by Julie Riebe. 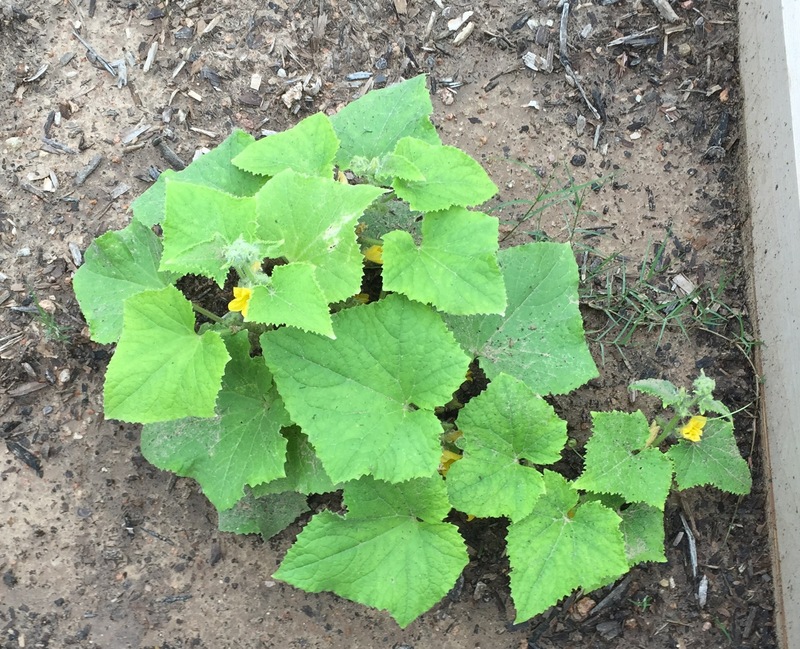 This entry was posted in Gardening and tagged cucumbers, flowers, onions, Vegetables on May 27, 2015 by Julie Riebe. Above, the beans tonight, April 5. Below, on April 3. 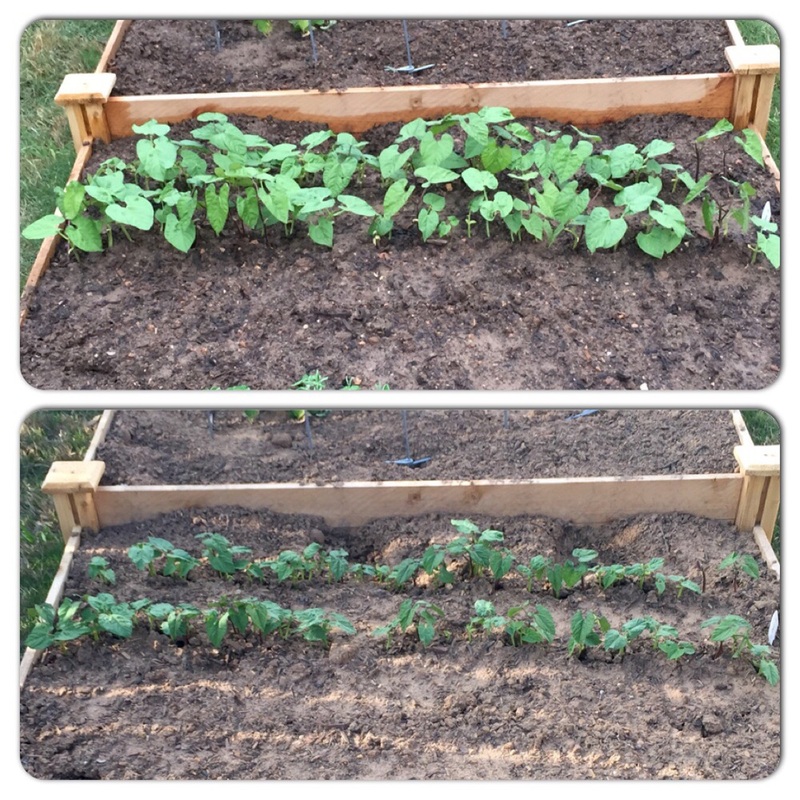 This entry was posted in Gardening and tagged beans, onions, rain on April 5, 2015 by Julie Riebe. 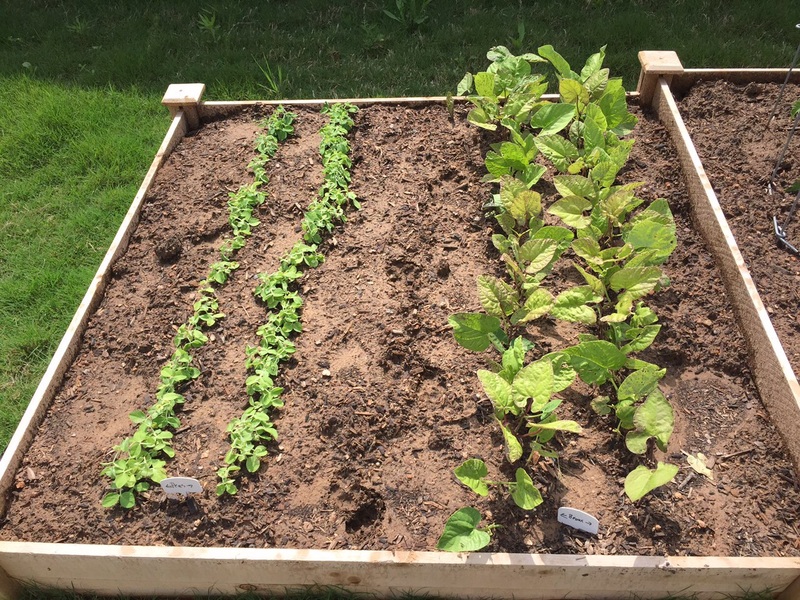 This entry was posted in Gardening and tagged beans, onions, peas on March 28, 2015 by Julie Riebe. I spotted the first green tomato on one of the Early Girls tonight. I staked the three bigger tomatoes tonight. Thursday’s gusty wind had them tilting sideways. Isn’t it just the cutest thing you’ve ever seen? The first pea peeks out of the ground. 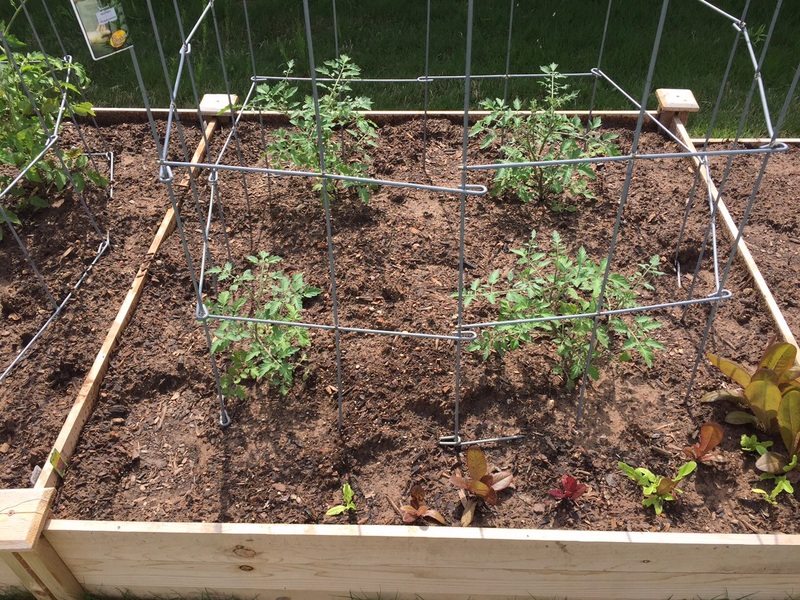 I finally screwed in the little square corners on the raised bed tonight. 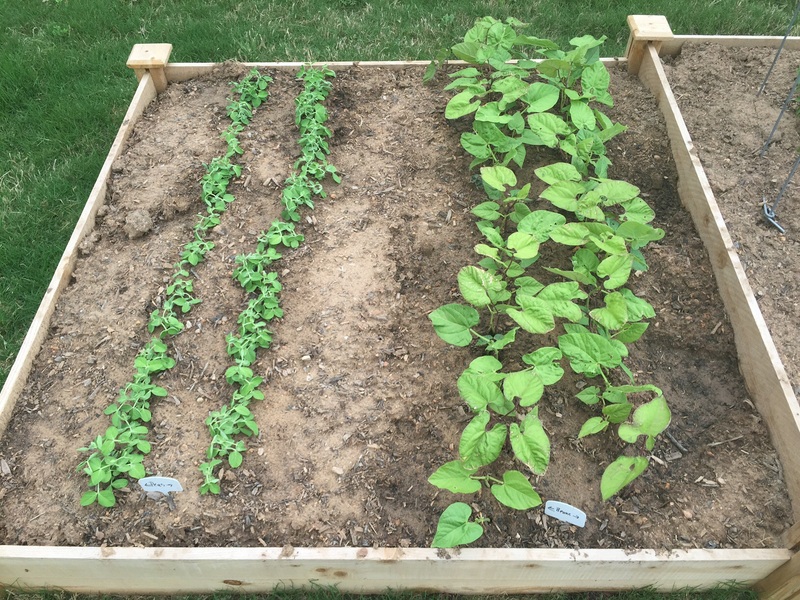 Another view of the raised bed from the other side. 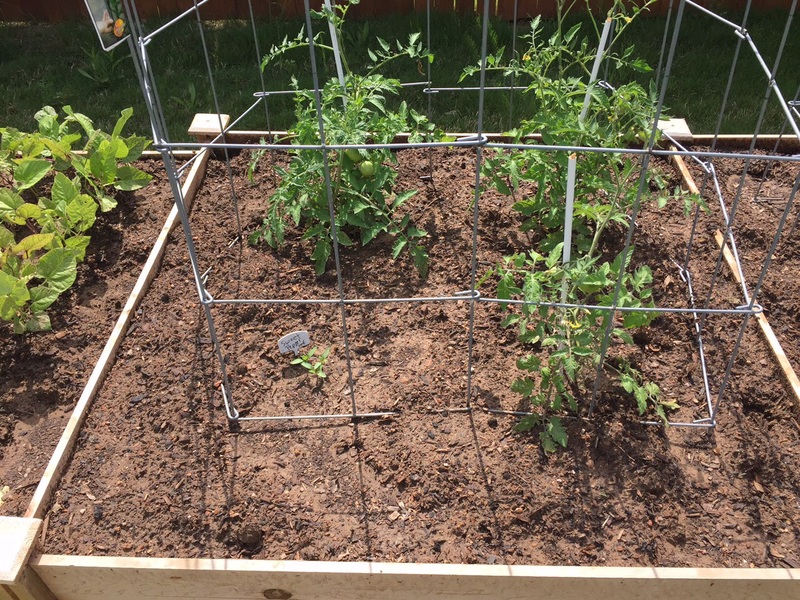 This entry was posted in Gardening and tagged beans, dirt, onions, peas, peppers, tomatoes, Vegetables on March 27, 2015 by Julie Riebe.